Fulbright New Zealand and the Fulbright New Zealand Alumni Association invite you to ‘Harnessing the Best of Both Worlds: Combining US and NZ Expertise to Advance Tobacco Control’. Smoking remains the leading cause of preventable death in both the US, where it kills nearly half a million people each year, and New Zealand, where around 5000 people die prematurely from illnesses caused by smoking each year. Despite these grim statistics, California and New Zealand have achieved considerable success in reducing smoking prevalence; both have ambitious goals to bring about further declines– in New Zealand’s case, to less than five percent by 2025. However, shaped by their differing regulatory environments, the intervention strategies used differ sharply. While California has denormalised smoking, run comprehensive mass media campaigns, and introduced smokefree restrictions, tobacco remains widely advertised, packaging still has no pictorial warnings, and the product remains relatively inexpensive. By contrast, New Zealand has prohibited tobacco marketing, introduced highly aversive on-pack warnings, and steadily increased the price of tobacco; but, at the same time, New Zealand has reduced spending on mass media campaigns and avoided industry denormalisation approaches. Could integrating these very different strategies be the best way to achieve the common goal of reducing the enormous harm caused by smoking? This free lecture will explore that possibility and outline potential components of a best practice tobacco control model that would support international ‘endgame’ initiatives. 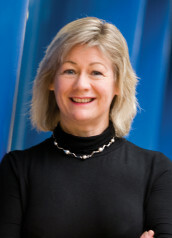 Janet Hoek is co-director of ASPIRE2025, a multi-disciplinary collaboration of tobacco control researchers based primarily at the University of Otago, New Zealand. Her research interests have focused on tobacco marketing, particularly plain packaging, on-pack warnings, tobacco supply and retailing, and tobacco endgames. She has sat on national and international expert advisory groups and provided expert testimony in tobacco litigation. In 2011, she was honoured to receive a Fulbright Travel Award that enabled her to develop a new and productive collaboration with the Centre for Tobacco Control Research and Education at the University of California San Francisco. Refreshments will be provided. Please click here to register.